NPR News Interviews Ex-CIA Chief John Brennan NPR's Mary Louise Kelly spoke with former CIA Chief John Brennan in an interview that will air in two parts on Thursday's and Friday's edition of All Things Considered. Since stepping down as CIA chief last year, John Brennan has been a harsh critic of President Trump. "I just think he hasn't fulfilled the responsibilities of the president of the United States," Brennan tells NPR. 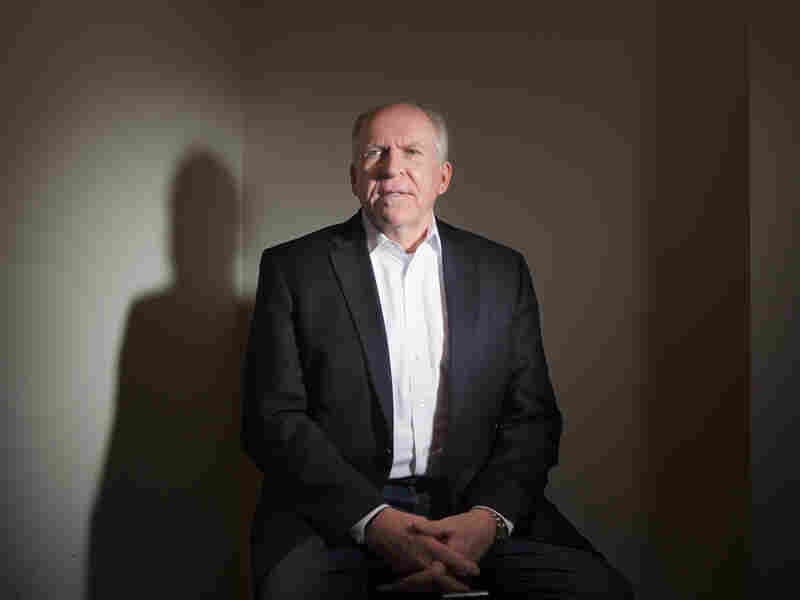 Thursday, April 26th; NPR's Mary Louise Kelly spoke with former CIA Chief John Brennan in an interview that will air in two parts on Thursday's and Friday's edition of All Things Considered. Brennan discussed a wide range of issues including his criticism of President Trump, diplomatic efforts with North Korea, the Iran nuclear deal, and speculation of Russian influence over President Trump. Stations and broadcast times are available at NPR.org/stations. Audio clips are available upon request. Excerpts of the interview are available below and can be cited with attribution. The full transcript will be made available after both interview segments have aired. "I am a non-partisan. I've worked for Democratic and Republican presidents and I've admired and respected all the ones that I worked for and I always felt that they were trying to do what was best for the United States. Mr. Trump is a very different person from anybody in my memory that was elected President of the United States. And the things that I said, I stand behind them. I think he is dishonest, he lacks integrity, he has very questionable ethics and morality, and he views the world through a prism of how it's going to help Donald Trump and I just think that he has not fulfilled the responsibilities of the president of the United States' office and I was hoping he was going to set behind him the traits and attributes that he was well known for in the business world when he became president States but he continues to demonstrate I think a lack of professionalism, a lack of honesty, and those things that I believe a president should embody to this country and the world." "I'm glad that the rhetorical broadsides that were going back and forth between Pyongyang and Washington have calmed down. I am pleased that there are some direct discussions taking place now between the United States and North Korea. I think that's good. But whether or not Kim Jong Un will agree to dismantle his nuclear weapons capability is a very different question." "When [President Trump] talks about the Iran nuclear deal, first of all, he speaks in hyperbole, you know, "We got nothing for it. It was the worst deal ever," and that is not the case. We got a lot for it. There are issues related to its malign activities, its ballistic missile program. And those things, I think, can be addressed and discussed. But that doesn't mean it should come at the expense of tearing up that agreement because that would send an awful signal to the Iranian people that you can't trust the Americans' word. It would send an awful signal also I think to North Korea." "Yes, but it was a commitment by a U.S. administration, along with many other signatories to it, and so that, although it's not a signed treaty, you know there are a lot of things that the United States has committed to internationally that don't have a signed treaty that undergird them. So I do think that the U.S. word, it really needs to be maintained, you know, take politics out of this, and that's what Mr. Trump is doing. He continues to denounce the things that, you know, happened before him. Everything seemed to be broken and wrong and misguided before Mr. Trump took the Oval Office. That's absolutely B.S." "I'm not going to get into what I may have known or not known while I was the CIA director. I just am looking at his performance since he has become president of the United States, and the — in some respects – fawning attitude toward Vladimir Putin while he speaks with such denigration about his fellow Americans, I just, it's hard to understand. And so is he afraid that Mr. Putin might have something on him? Maybe. I don't know, but only Mr. Trump knows what he might be vulnerable to. I don't know." "Well, I'm an ordinary civilian now. I'm a private citizen, and I'm speaking out." "Again I'm not going to speak about what I may have known while I was CIA director. The intelligence community assessment that we issued in January 2017 clearly indicated that the Russians were trying to interfere in this election with one of their objectives to enhance the prospects for Mr. Trump. Now, since I left office, I've seen a number of things come out about meetings that took place between Russians and very senior members of the Trump campaign. When I read these reports, it gives me pause, it gives me concern, about what was going on." Mary Louise Kelly raised with Brennan a past interview, while Brennan was still running the CIA, in which he said "We don't steal secrets. Everything we do is consistent with US law. We uncover, we discover, we reveal, we obtain, we elicit, we solicit. All of that." "Sure. Yes they do [steal secrets], in other countries. But stealing is not what we do here in the United States, you know, because people were concerned about what we're doing vis-a-vis American citizens and on US soil."